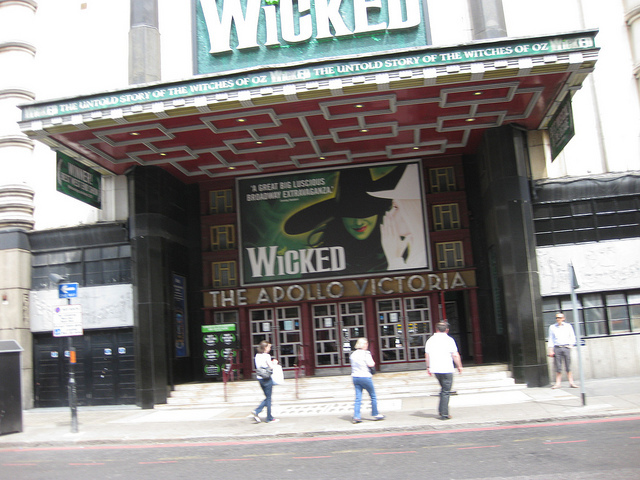 While “Wicked” has been running for more than ten years, it is still dazzling crowds worldwide. I had the chance to see the show while in London last week. If you have not seen this play, immediately find it in your city and go! While watching the show, I couldn’t help thinking how the cast, setting, and story had striking similarities with what folks are trying to achieve in content marketing. Here are my seven tips on how to create “wicked” content for your audience to delight and dazzle. One of the most striking aspects of this show is the stage set. While the story itself explains how the characters are connected, the stage curtain had a map of Oz for context how all the “lands” related. This context is what content marketers should strive to provide. Many times we dive into the creating the article or whitepaper, but don’t provide proper setting for the reader. Setting the stage helps level-set the reader in case the knowledge base isn’t there. And for the most part, most folks are reading your article or whitepaper to learn more so help them out by taking the time to set the stage. Like any good story, you need the right actors to bring the story to life. What contributes to “Wicked” worldwide success is that the actors who portray the characters bring their passion and skill to the stage. The cast in London was no exception. Content marketers need think like casting directors. Be decisive when selecting your content marketing cast. Be choosey who writes and what cast you bring to the table. It will make the world of difference in your final product. I will not spoil it for you, but there is a lot of drama between multiple cast members throughout the play. This drama is what makes the story compelling. You may be thinking how can you really create drama in a technical thought leadership piece? I would challenge you to help your experts tell compelling stories by using the elements of storytelling in the outlining. I think one tool that can help create the drama is working with experts to outline their piece so you can weave the drama. I found this helpful especially when experts are too focused on the details and not enough how to connect all the ideas together. My role as the content marketer is not only to help get the content creates, but also make sure it is enjoyable to read. What I found most intriguing about the play was that some characters from the original “Wizard of Oz” were barely seen. Take for instance, the cowardly lion. The author and stage designers did an amazing job creating the “image” of the lion without giving too much away. I find that technical experts sometimes over explain concepts in whitepapers and articles that leave little to the reader’s imagination. While there is a delicate balance between comprehensive and overdone, content marketers need to temper their experts into detailing too much in their pieces. Give enough to paint a picture, not write a technical manual. This is very difficult for subject matter experts since they are very versed in their craft, but forget that the audience is looking for. Don’t get in the weeds. Besides the incredible singing and dancing, the set design and costumes help tell the story of “Wicked.” The costumes were dazzling. Every detail and sequin was placed to complement the set, but also help convey mood and feeling. This balance of showing and telling is important as you work with your content contributors to create your final masterpiece. Plan every detail: the font, the graphics, the layout, and other elements needed for your piece. These pieces are as important as the content, may be even more important. It helps tell the overall story and can make or break the success of the content. I like to tell my clients that the creating the content is important, but the images and the overall aesthetics can make or break whether people will read it. Make the time to plan out distribution and promotion otherwise your content may never “see” the light of day with your audience. While watching the actors dance across the stage, I was mesmerized how in sync they were throughout the play. This cadence is important in telling the story in your content. Make sure everything flows together from the images to content itself. While it seems simple, sometimes contributors overlook flow because they know the content too well. Help organize by thinking how the audience will consume it. Hello merchandising. This show has everything you can imagine in order for the audience member to take a little piece of the show back how. The retail store is painstakingly well thought out and planned. The same should be said for your distribution and promotion plan of your marketing piece. Think about how you will distribute on social media or use paid promotion to drive traffic. Think about the overall extension of how you will use different mediums to tell the story of the play. Have this content read to draw readers in. The promotion and distribute is as important as the content itself. What are your “wicked” content ideas?